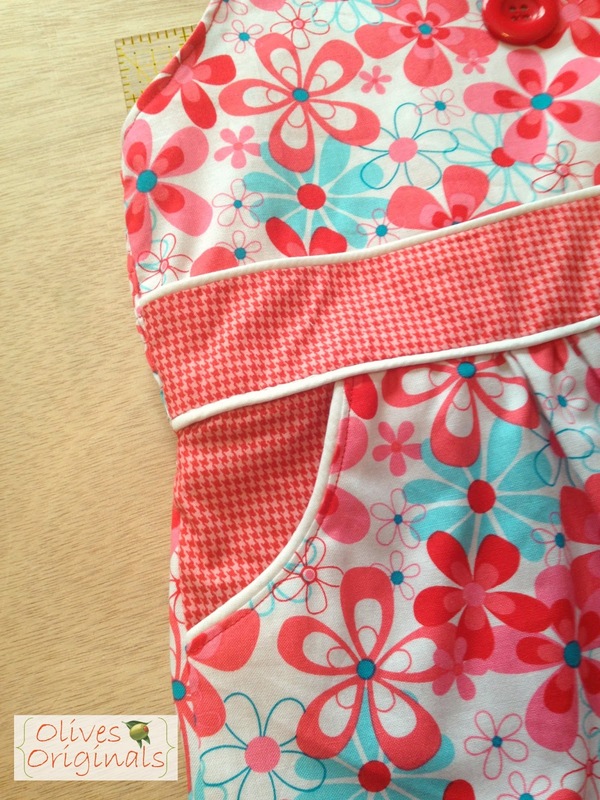 Today I finished one of the most challenging sewing projects I've ever attempted. And I have to say, I am quite proud of myself! 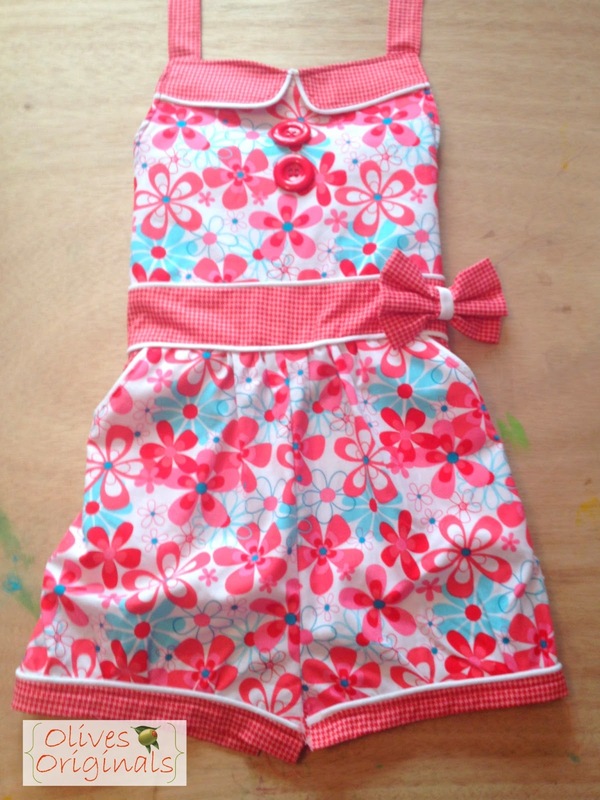 I found this pattern for a cute little girl's romper online. It was so cute, that I got over my fear of making clothes from a pattern. Yup. I've never done that before. The dresses I made before (here and here) all came from an online tutorial (no pattern needed). I learned so much making this little romper, and I'm excited to put my new skills to work on future projects. First of all, I learned how to add piping. What a pain! But it's so cute it's worth it. I didn't think so at the time, but I do now. I also learned a new technique for making bows. I see a couple of new hair bows in Little O's future. Before this project, I had never made a collar before. Or straps, for that matter. I love the sweetheart neckline. I think it turned out pretty well. I've always been intimidated by patterns that have shirring on the back. It looks so cute, and makes the clothes so stretchy and comfortable, but I was sure it was really complicated. I was so wrong! I just put elastic thread on my bobbin and regular thread in the needle, and voila! For some reason, I always thought you had to shirr by hand. I love that I did this with my machine, and it only took a few minutes. I experimented with one final technique for this outfit: applying snaps with a snap press. Thank to a friend for loaning me hers. I practiced on a piece of scrap first, but it turned out to be really easy. I kind of want one of my very own now... Hmmm. Amazon wish list? 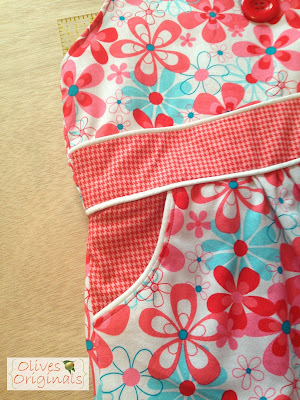 I think the most complicated part of the whole pattern was attaching the interfacing where the snaps go. It was so tiny. Here it is! All done and ready to wear. Too bad it's so late. I can't wait to see Little O in it. Of course she's going to wear it tomorrow. Pictures to come! Oh this is beyond cute!!! I really really like the fabrics you used! 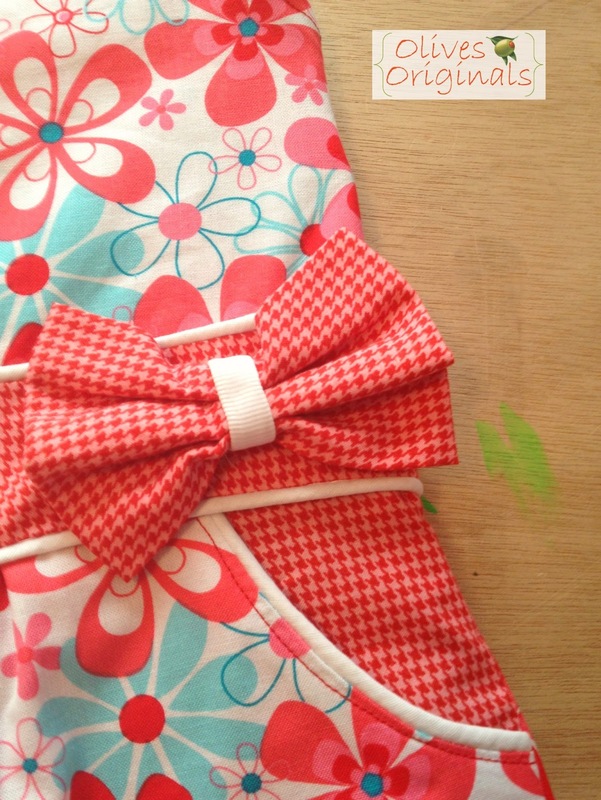 The bow and buttons are cute additions, too! Wonderful work! 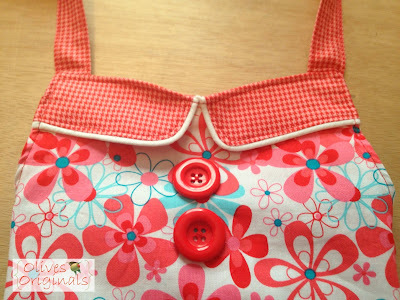 Very, very cute (love the fabrics, the details...fresh and fun)! And I'm thinking if you've been gutsy enough to sew without patterns, you're set for anything. Well done.